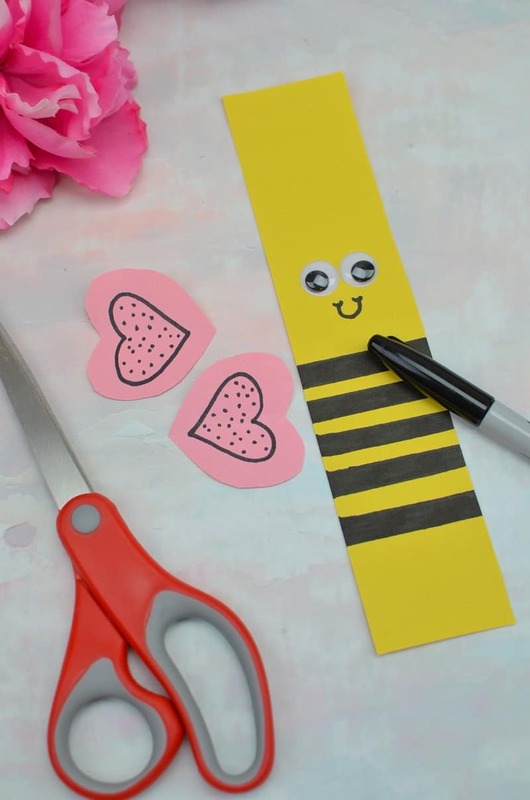 Decorating for Valentine’s Day is so much fun. 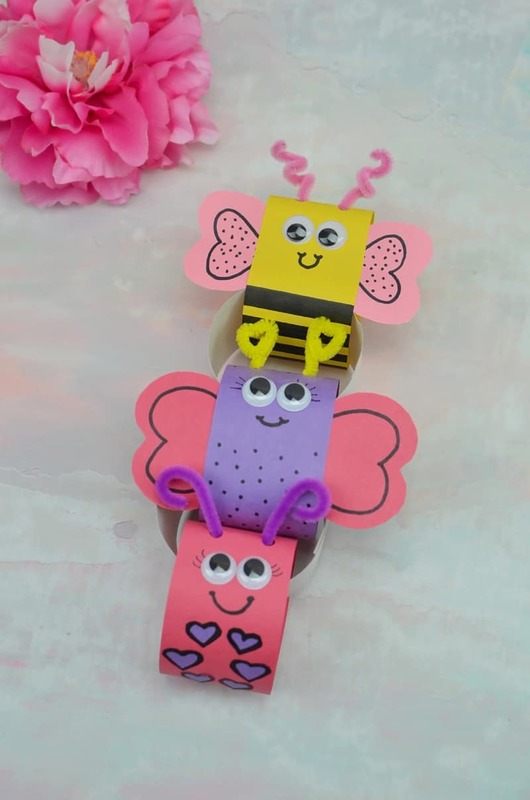 If you have craft loving kids, then this adorable Valentine’s Day Love Bug Paper Chain is sure to be a hit. 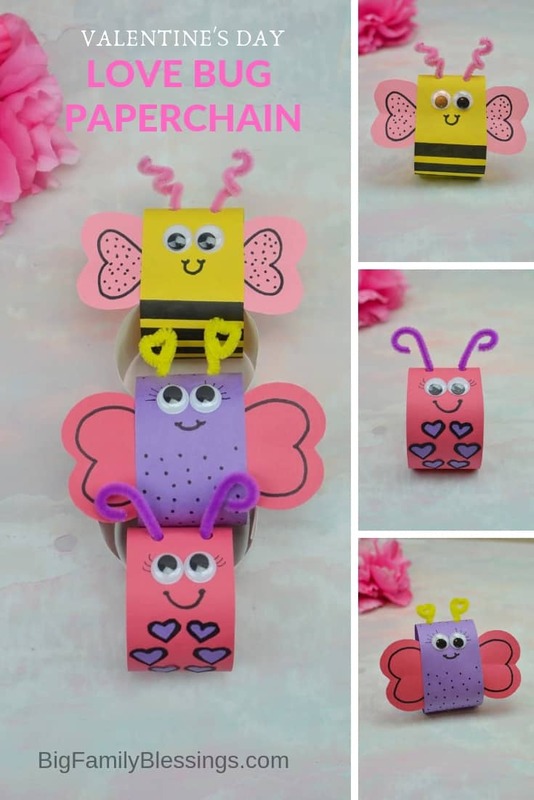 With my craft kids, my refrigerator and every pin board in the house is always covered in art, so I love how these paper chains can be hung just about anywhere to display them! 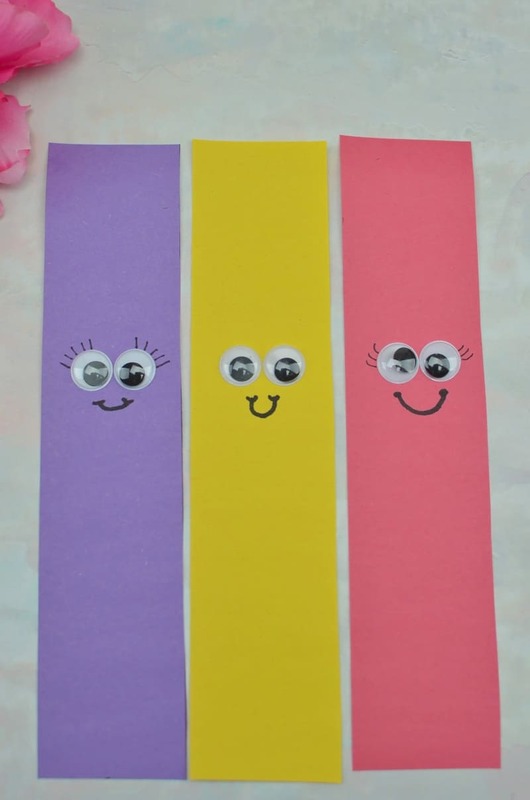 Take purple, red and yellow construction paper. 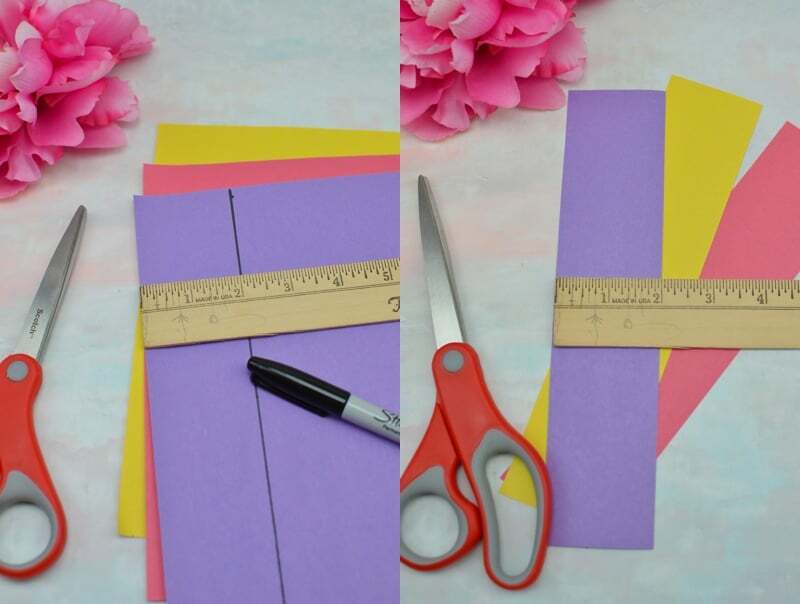 Turn the paper horizontally and cut a 2” strip down the length of the paper, cutting through all 3 papers at the same time. 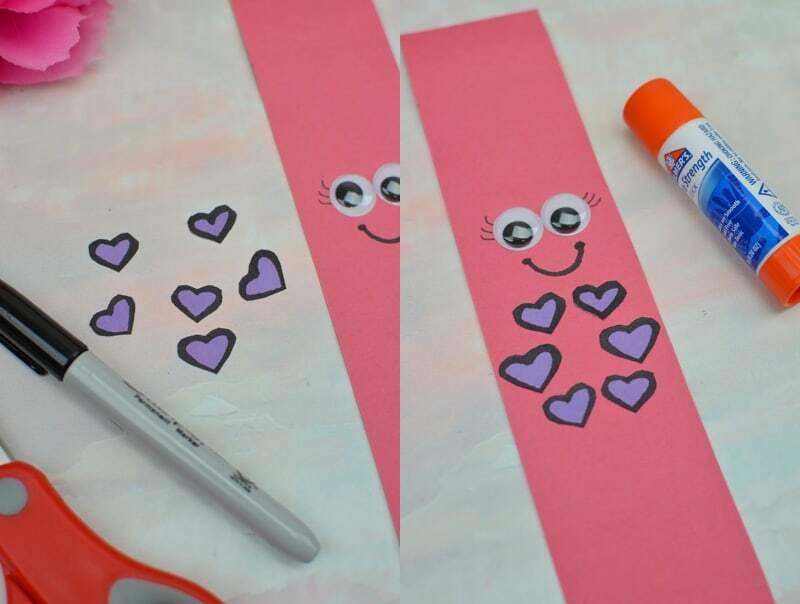 Add google eyes, eye lashes and a cute smile to the middle of all the strips. 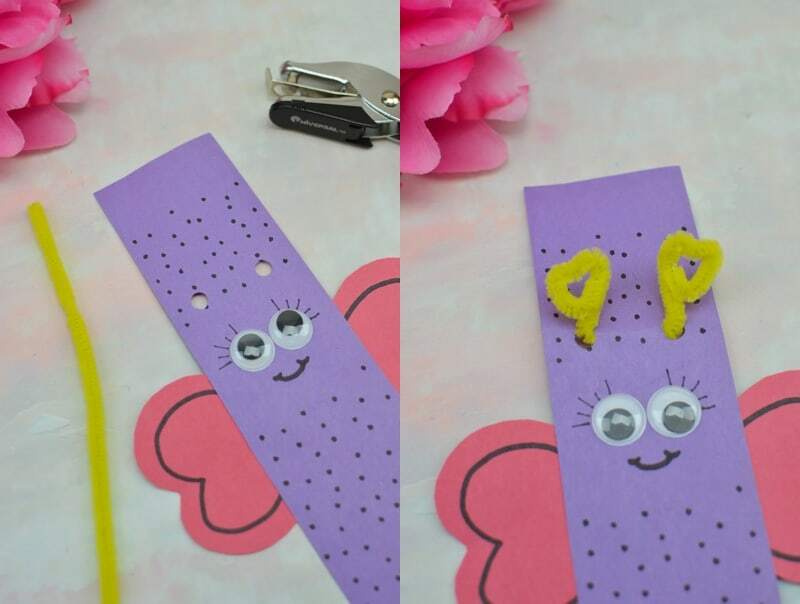 Punch two holes above the eyes for the antenna. 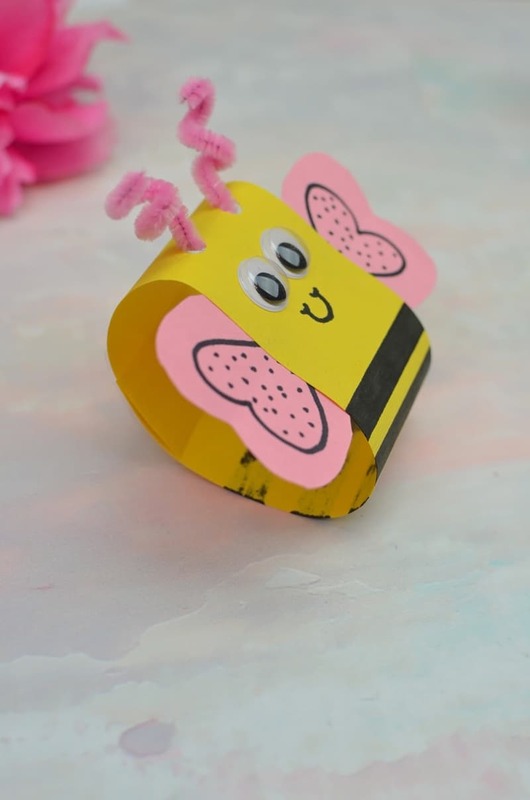 Feed a pipe cleaner through the holes and curl up to form antenna. Secure at the back with some tape. Loop the whole strip and secure with tape. 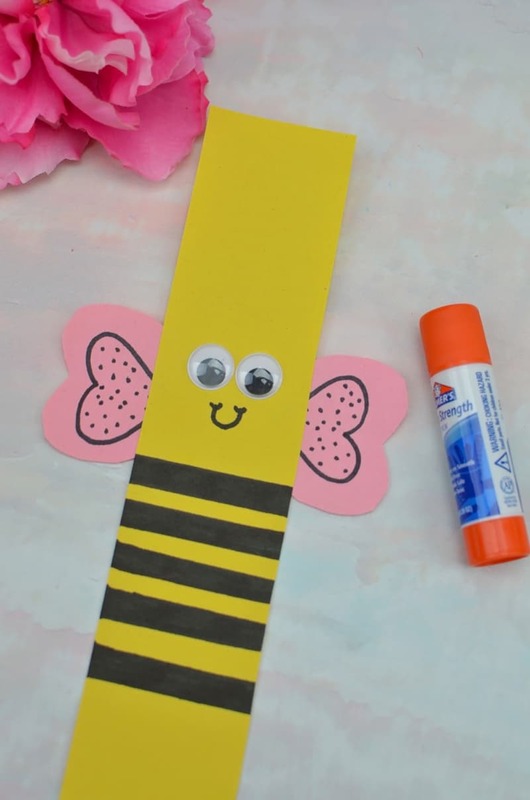 To finish the bee, use a black marker to create stripes. 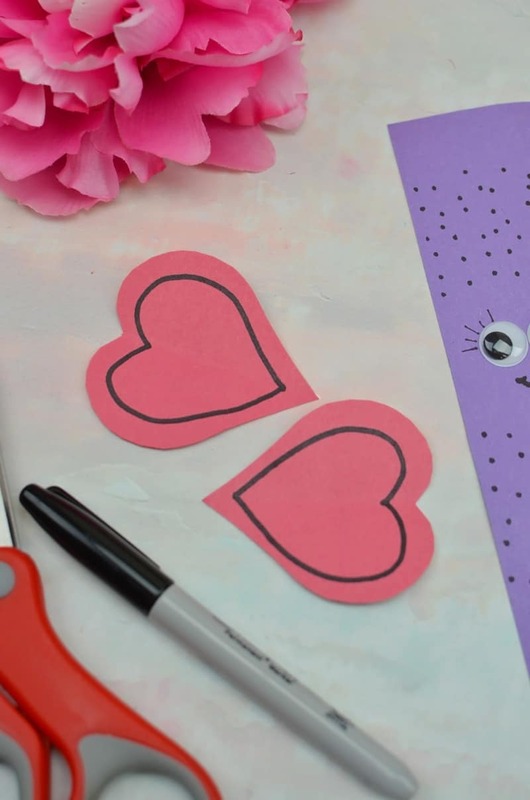 Also, cut two small pink hearts and decorate them with the black marker. 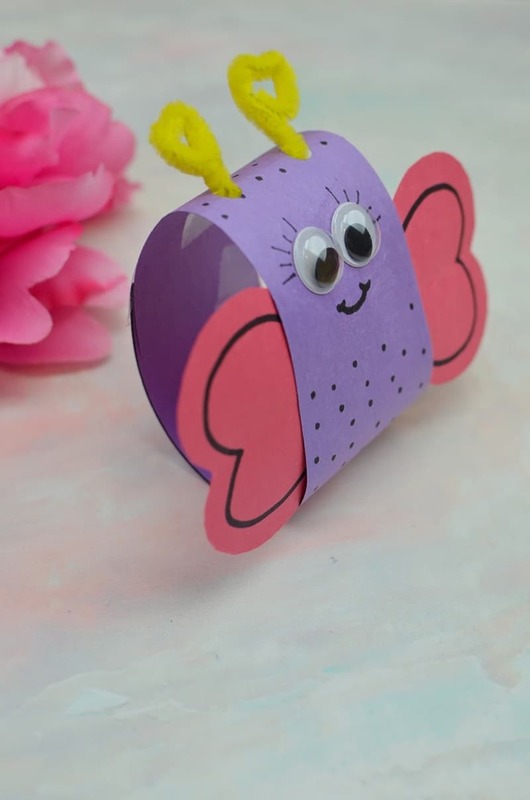 Attach the pink hearts to the back to form wings. 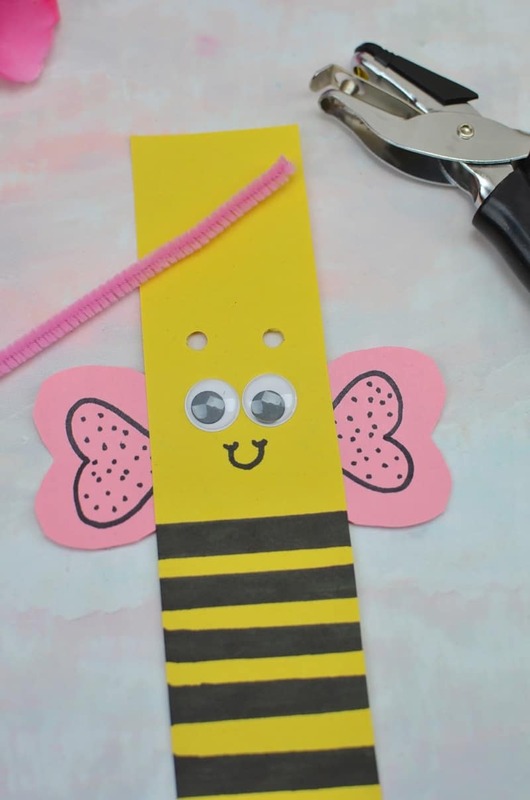 Curl the whole thing around and secure with tape to create a loop. 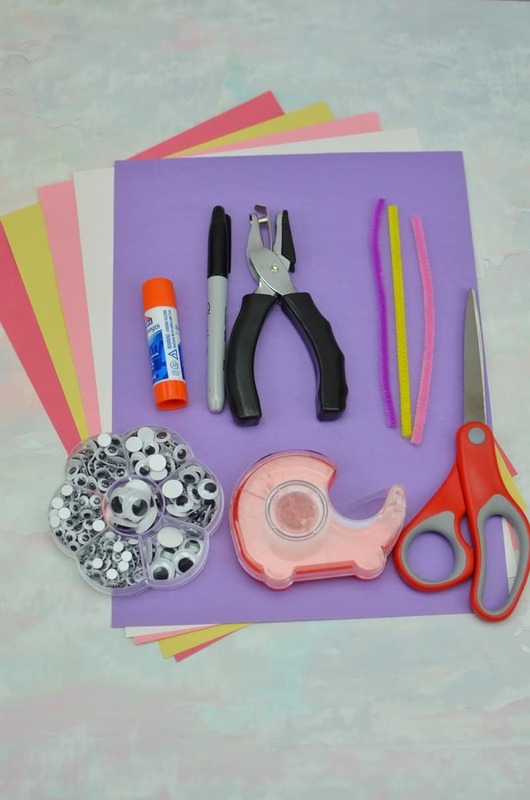 Cut out about 6 tiny hearts and decorate them with the black marker. 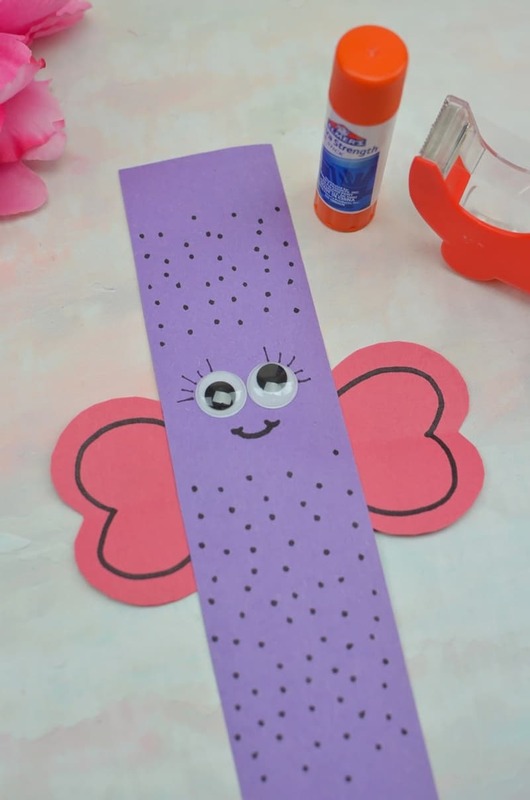 Glue these to the body of the ladybug to create the spots. 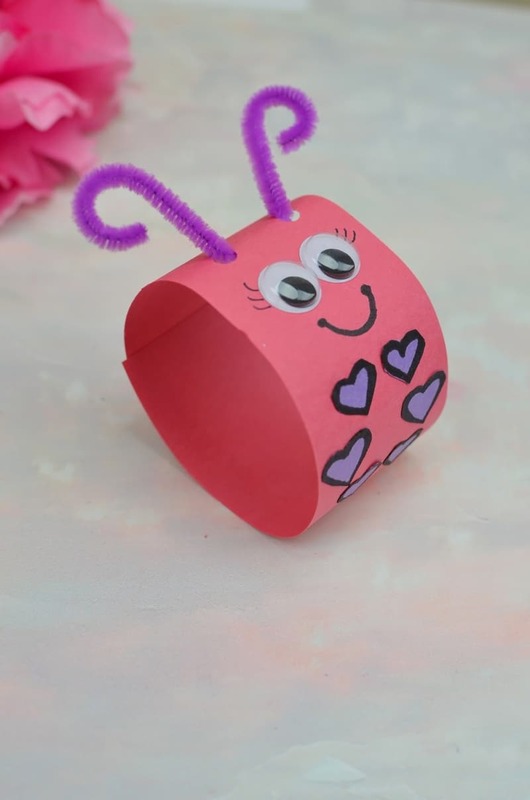 Again, hole punch the top and add the pipe cleaner to make an antenna. Finally, secure the whole loop with a piece of tape. 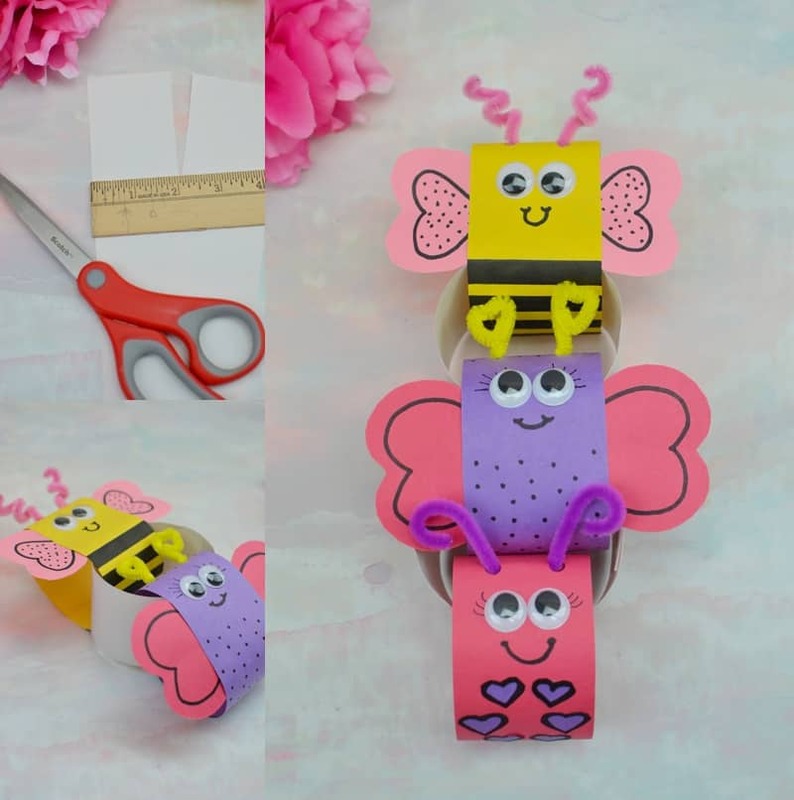 To connect the loops, cut 2 x 2” strips of white paper. Feed through two bugs and secure with tape. 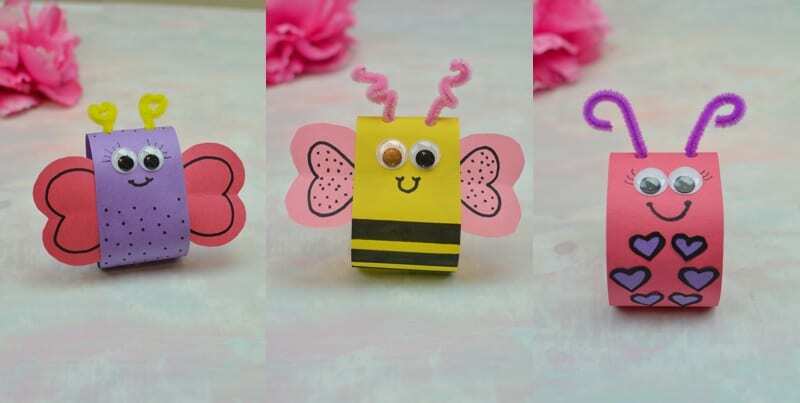 Repeat with the other two bug and its finished. Add as many bugs as you’d like! 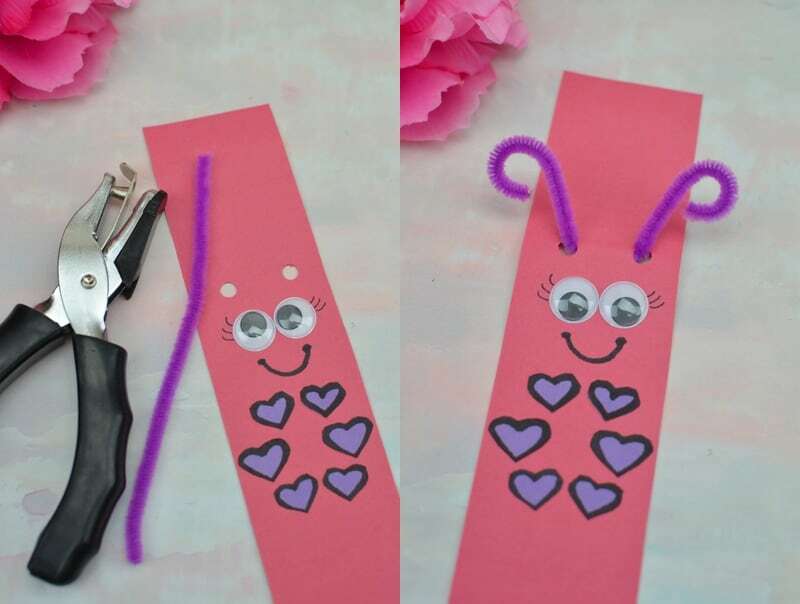 Now decorate for Valentine’s Day by hanging your adorable Love Bug Paperchain! Previous Post: « Loving Little Bites Churro Muffins!